Rep by Rep consists of three exercises with different functions – a back exercise, bodyweight leg work, and a core exercise. This is a short, effective workout that utilizes your entire body. Coach Natalie gives you the tools to accomplish achievable goals so that you can be an inspiration to yourself and others. In Rep by Rep, Coach Natalie tells an inspiring story about a client who wanted to hold a 3.5 minute plank on her 35th birthday. She succeeded by increasing her time by 15 seconds daily until she reached the mark. This story proves that small steps lead to big changes. The fitness industry can be intimidating, especially for someone beginning their journey. Sometimes, it’s difficult to know which moves to do, how many to do, or how to do them at all. This workout removes that fear by providing you with foundational movements you can perform independently or add to another workout. Whether you want to gain confidence, motivation, or muscle growth, this workout is for you. The aim is for you to put in a little effort so that, over time, you can achieve your goals. Coach Natalie is passionate about body positivity and encourages everyone to be the best version of themselves, in whatever form that takes. All her workouts will leave you feeling strong, confident, and motivated to continue your fitness journey. She created Rep by Rep to help make fitness accessible to anyone. If you have 20 minutes and drive to better yourself, then you can finish this workout. Rep by Rep is a 20-minute circuit workout, consisting of 4 sets of 3 exercises done without rest. It is perfect for beginners, or anyone who wants a comprehensive full body workout. 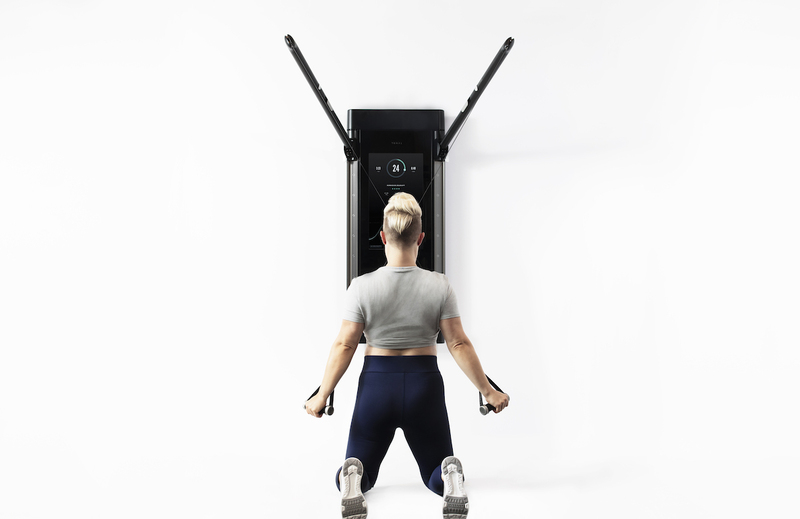 Seated Lat Pulldown, a back exercise that helps create an hourglass shape by widening the lats (latissimus dorsi), giving the appearance of a smaller waist. Step Ups are both cardio and bodyweight leg work. They engage the glutes, hamstrings, and quads. Pillar Bridge, also called a forearm plank, is a fundamental core exercise. This workout is available now on Tonal. No Tonal? No worries! Try Tonal at a showroom near you.